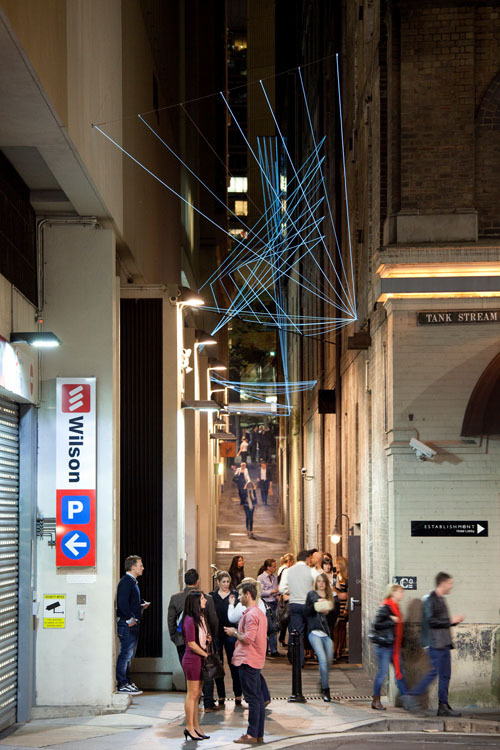 The catenary lighting installation for Abercrombie Lane was selected by the City of Sydney as a winning entrant for the “Art & About Festival 2012″. 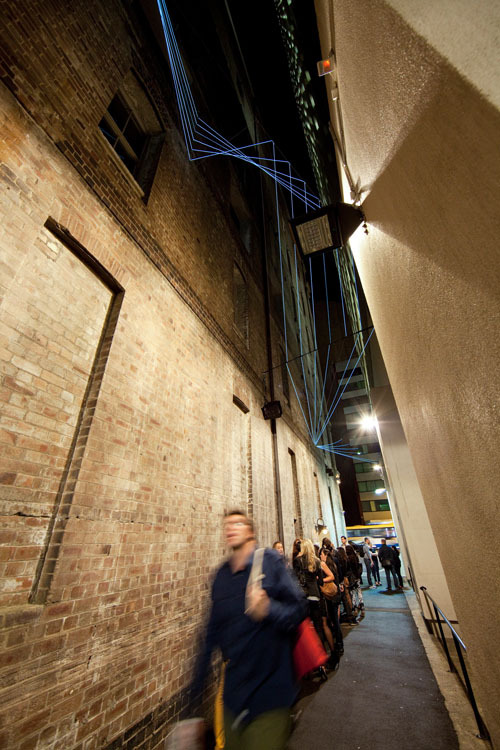 Titled, “Augmenting Spatiality”, the piece seeks to simultaneously reveal ambient and distinct urban spatial qualities between Sydney and Istanbul. 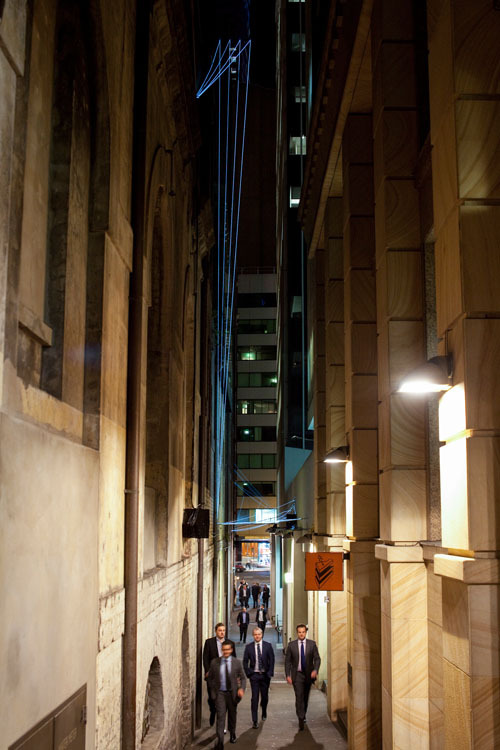 The original design for the lights was based upon a similar lane-way to that of Abercrombie Lane in Istanbul, thus the dialogue between the two cities. Tensile was engaged by the Artist, Refik Anadol, & Architect, Alexis Sanal, to provide a structural design and supervise the installation. 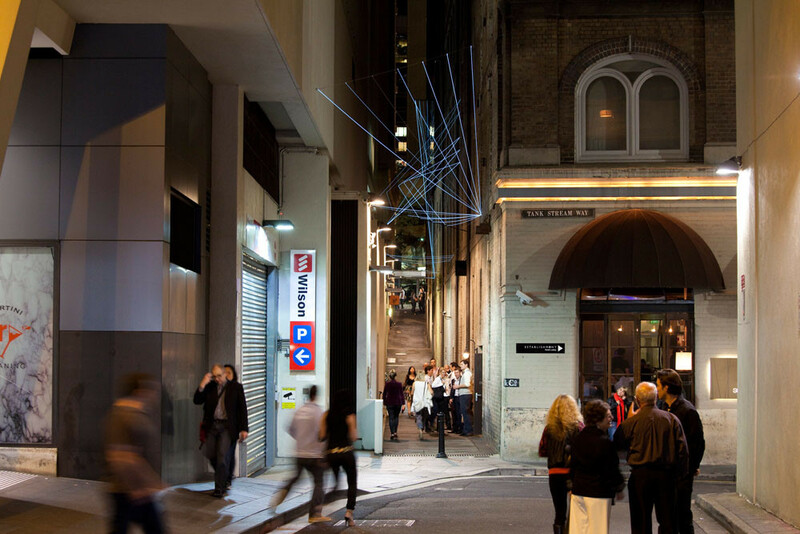 We worked closely with the City of Sydney, local business’ in the lane-way, the Turkish designers, and German electronics team on what was a very tight schedule to be ready for opening night. 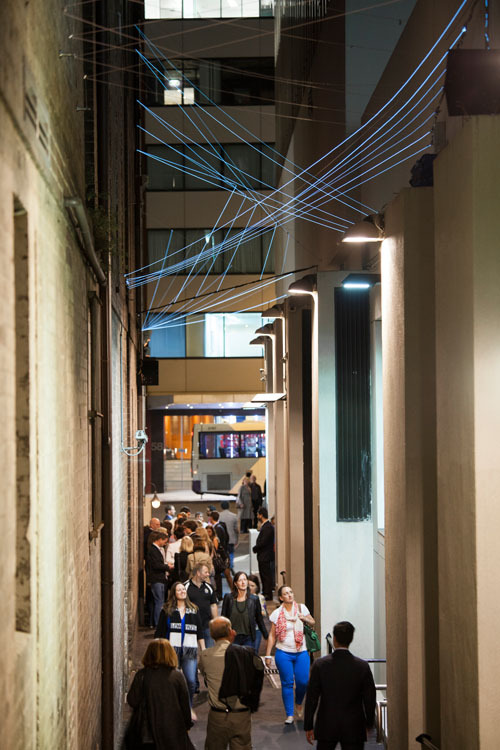 The technology utilised for the lighting had never been installed on such a scale, with close 1000m of lighting cable running, turning and bouncing up and down the lane-way. Detailing and installation methodology were paramount to the success of the project, careful integration of the electronics and structural systems had to be considered at all stages by Tensile. The end result is something truly breathtaking, and one which opens up so many possibilities for future lighting installations. 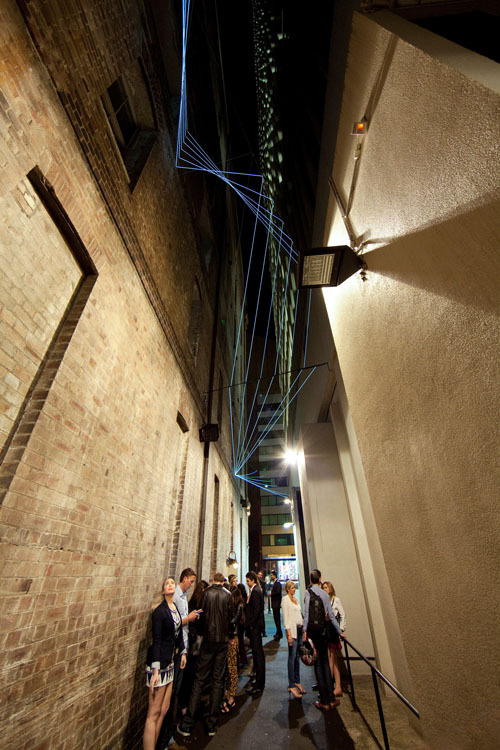 The playful nature of the lights is a stark contrast to the existing public lighting within the lane-way. 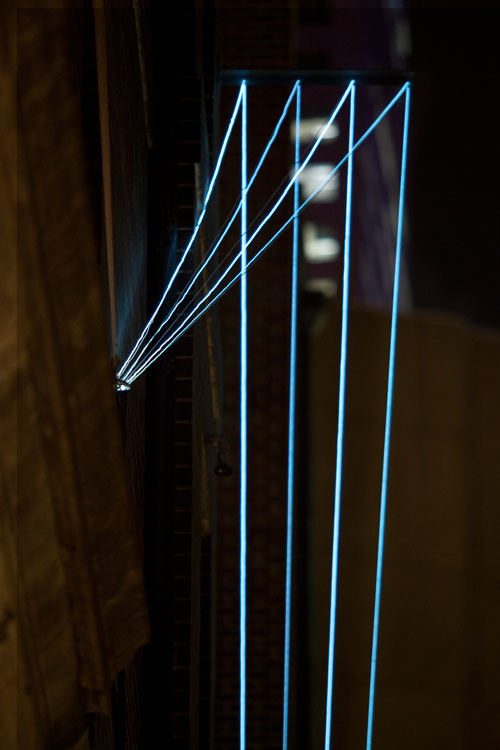 Tensile commends both Refik and Alexis and all involved with the project for pushing the boundaries and perceptions of what is considered possible.